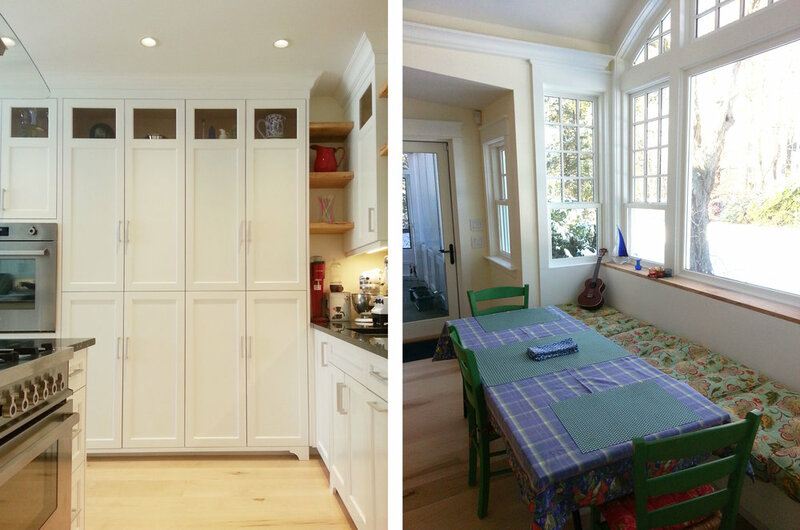 This 1930’s colonial is home to a family of four that sought a more modernized open flow for their house. They also wanted a lot more natural light and a big kitchen in which the whole family could cook and hang out together. The teenagers wanted an improved rec room in the basement, and the parents wanted a better connection between the kitchen and the recreation space below. The solution was a glass box expansion to the back of the house. This light-filled room with an arched ceiling more than doubled the size of the kitchen, and it added a beautiful grand staircase that flows first to the backyard and then down to the lower level rec room as well as a new mudroom connector from the front entry to the back.